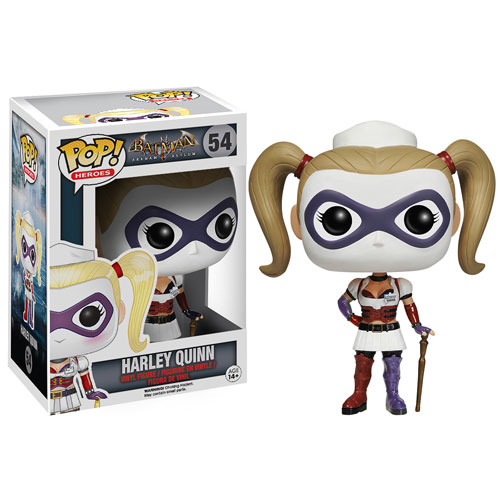 Shopping for Harley Quinn Pop! Vinyl Figures? Would you trust her as your nurse? Maybe not, but you can certainly trust Nurse Harley to draw the oos and ahs as she sits on your desk. This 3 3/4-inch tall Batman Arkham Asylum Nurse Harley Quinn Pop! Vinyl Figure based on the Batman: Arkham Asylum video game is just what the doctor ordered, Puddin'! Ages 14 and up.